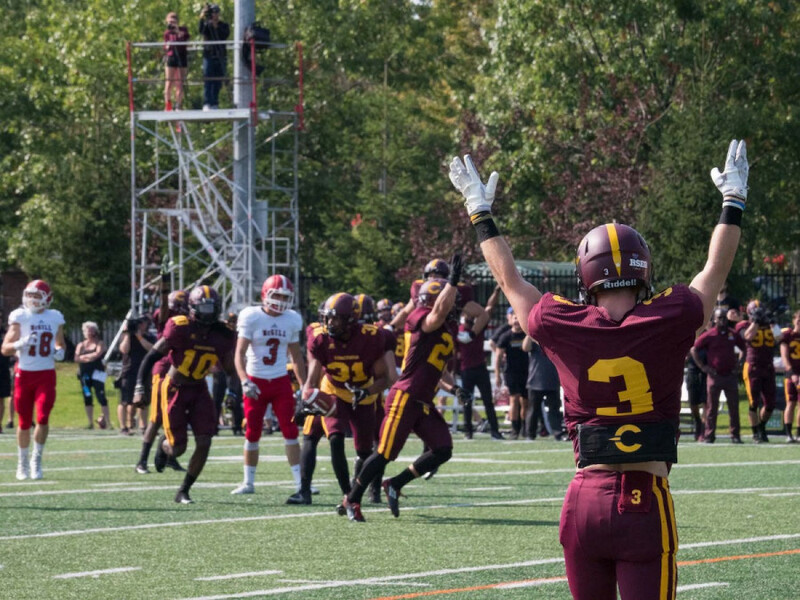 Two members of Concordia’s football team were drafted this Thursday night at the Canadian Football League’s 2018 draft. Linebacker Mickael Côté was selected in the fourth round, 30th overall, by the Ottawa Redblacks. His teammate, running back Tanner Green, was selected just two picks later, 32nd overall by the Edmonton Eskimos. Both players were Concordia’s only attendees at the CFL scouting combine that took place in Winnipeg in March. The two players had average results for nearly all combine skills, though Green did not participate in either the bench press or vertical jump tests. However, their performances were enough to impress scouts and general managers around the league. Both the Redblacks and the Eskimos earned themselves a playoff run last season, with the Eskimos making it to the semifinal round before losing to the Calgary Stampeders. The Redblacks have picked up a defensive dynamo in Côté, who lead the Stingers defense last season. A second-team USports all-Canadian, and Réseau du sport étudiant du Québec all-star in 2017, the young linebacker led his team and the Quebec division with 40 solo tackles in seven games played. Green comes as more of a surprise, as he made an appearance in just three games last season. However, the running back has experience outside of USports, having played for the Alberta Buccaneers in the Alberta Football League. Green was also commended for his efforts in 2016 following his first season with the Stingers, receiving the Ricky Zieba award given to the Stinger with the best work ethic, and named in honour of a Concordia linebacker who passed away in 2009. Côté is the fifth Stingers linebacker to be drafted in the last ten years, the most recent being Arto Khatchikian, drafted in the seventh round by Ottawa in 2016. Green is the first running back out of Concordia to be selected since 1999 when Evan Davis Jr. was selected in the third round by the Calgary Stampeders.